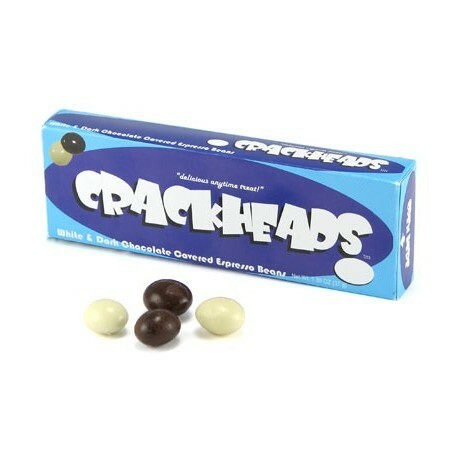 Crackheads candy are espresso beans covered in black and white chocolate with approximately 30 - 32 beans per box. Not only do you get 120 mg of caffeine (that's more than a cup of coffee! ), but you get it in delicious espresso beans coated with some of the tastiest chocolate around. 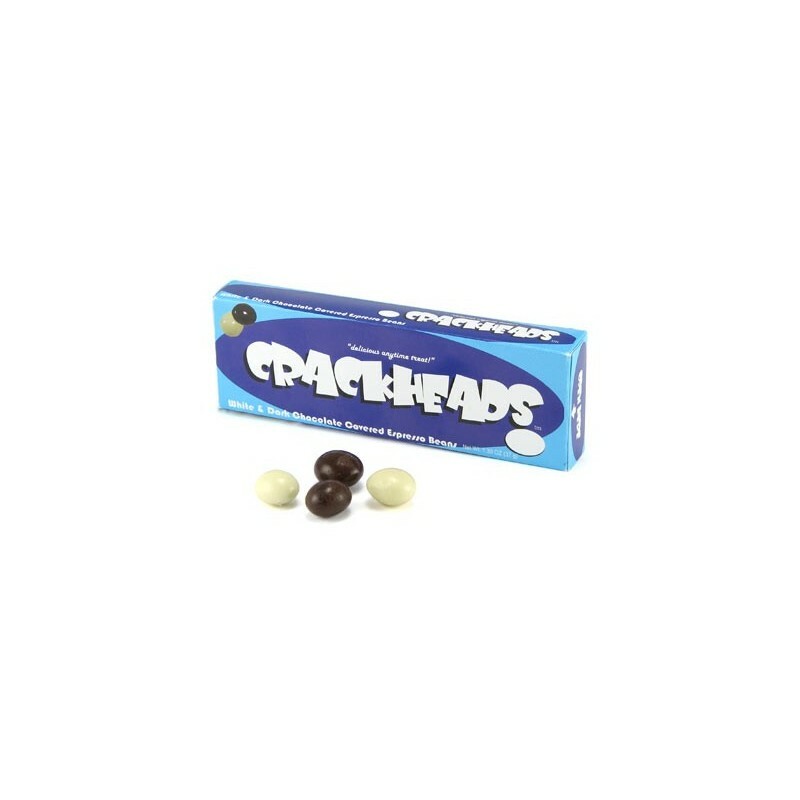 So why would they end up with the name Crackheads? Well it won't take long before you'll be hooked on these. First, you'll go through a half a box while giving the rest away to needy coworkers. Then you'll find yourself avoiding the needy coworkers so you can have the whole box to yourself. Then you'll be going through multiple boxes per day and you'll be one of those needy coworkers begging others to spare a few of their Crackheads. There's no stopping it.... so you better stock up. OOO I was sent these as a "freebie" sample. Man, are they tasty. I handed the pack around to all the joes who ate them up. Great sweet energy infused snack.